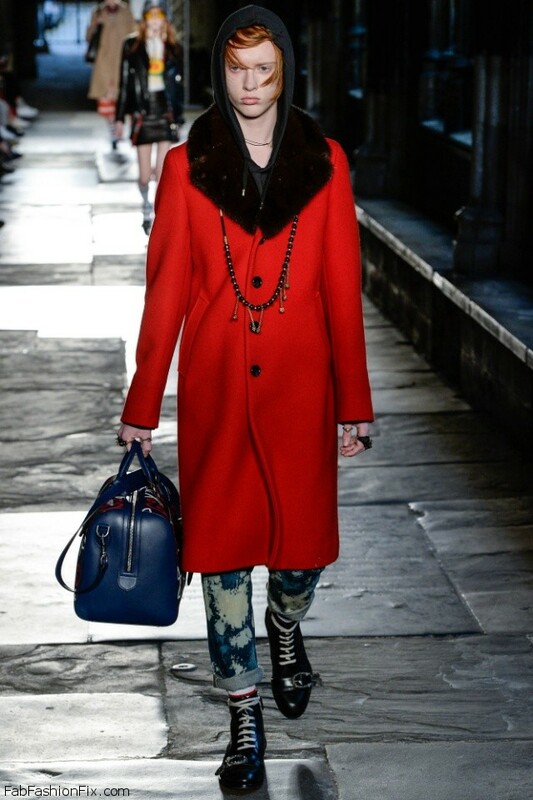 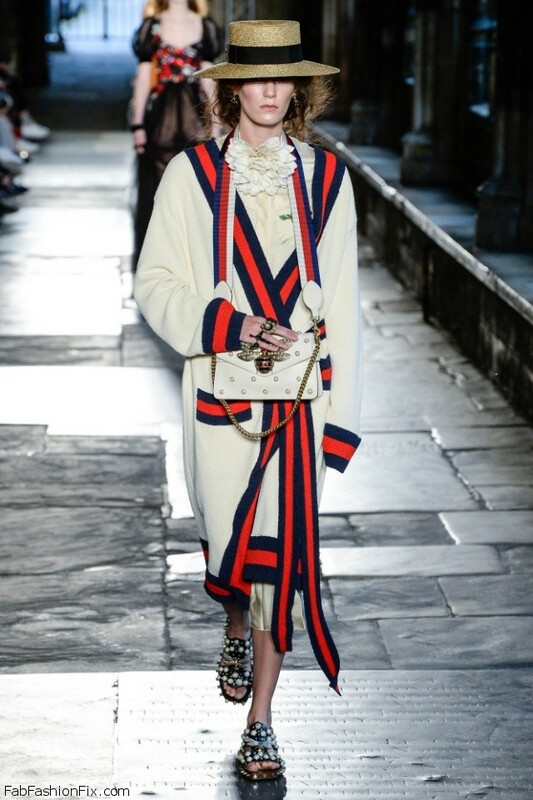 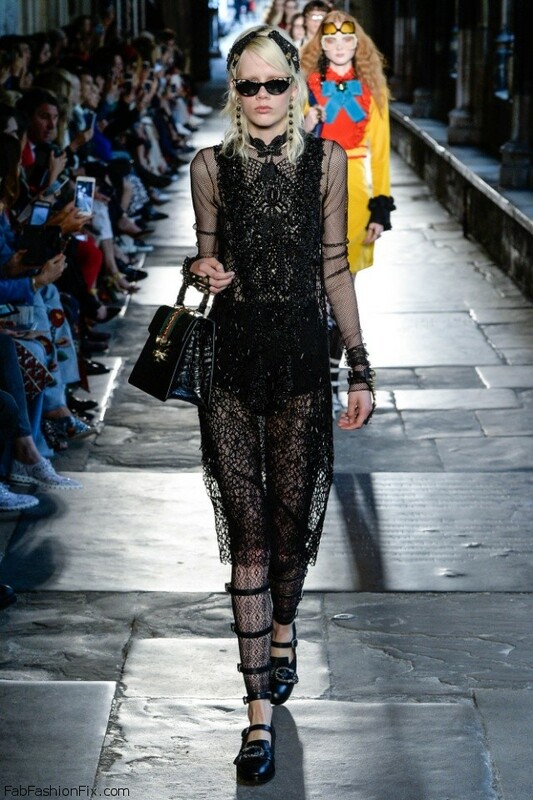 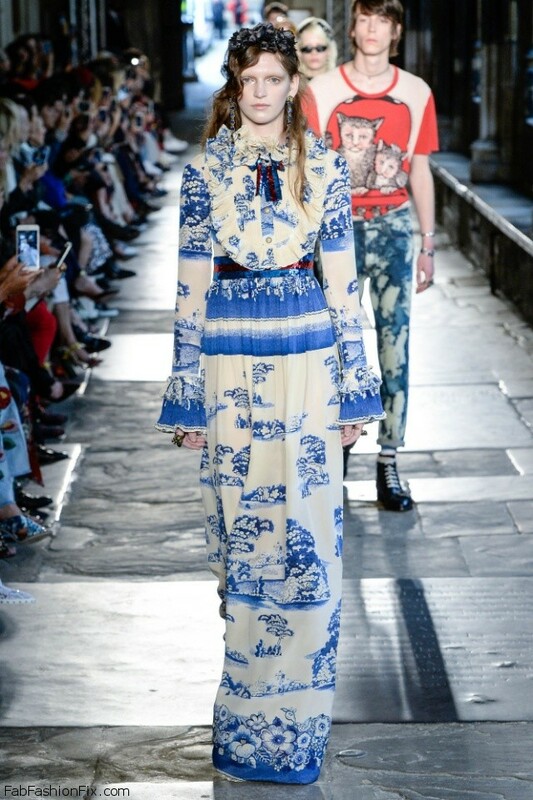 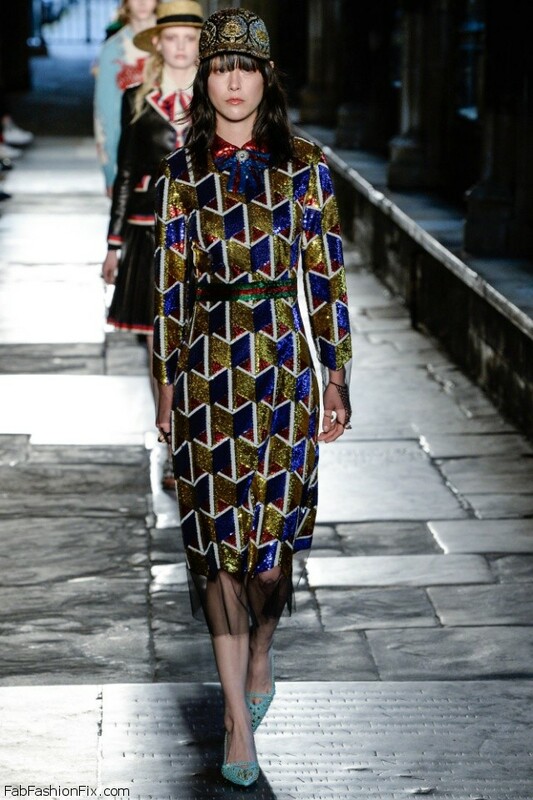 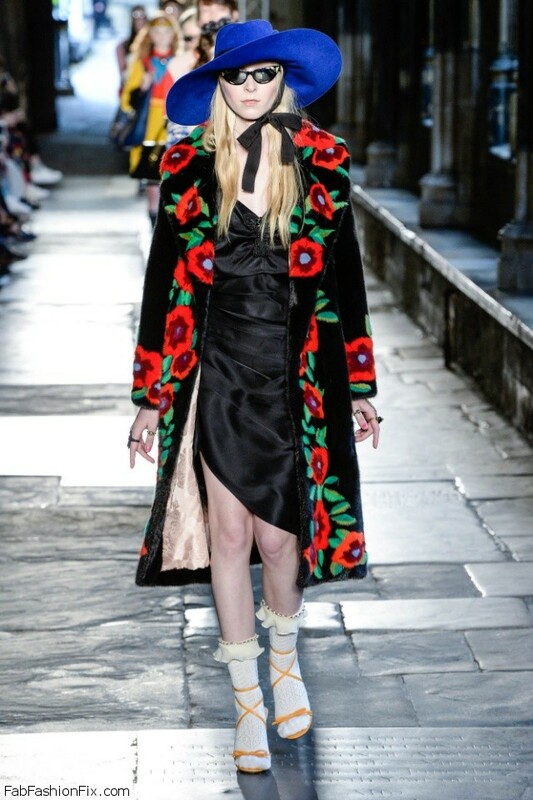 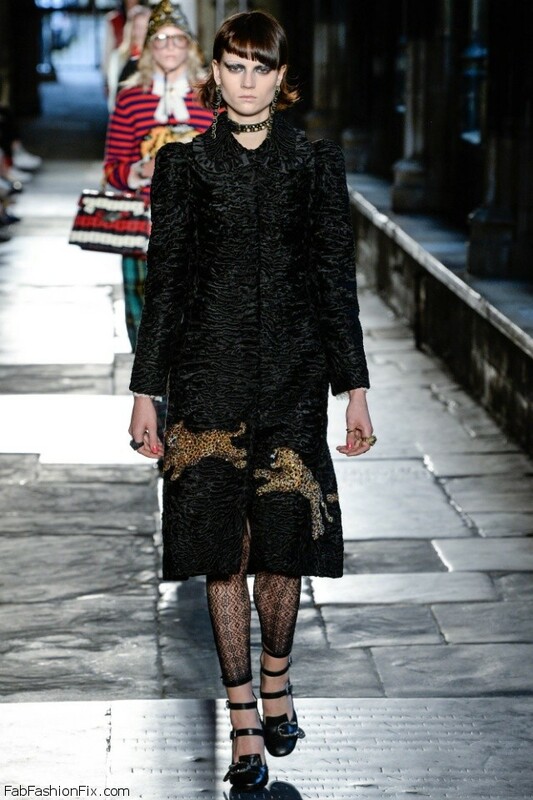 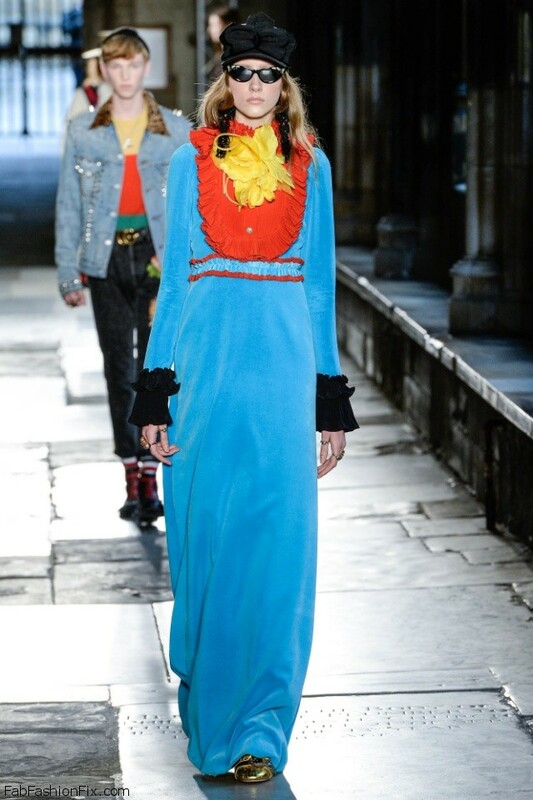 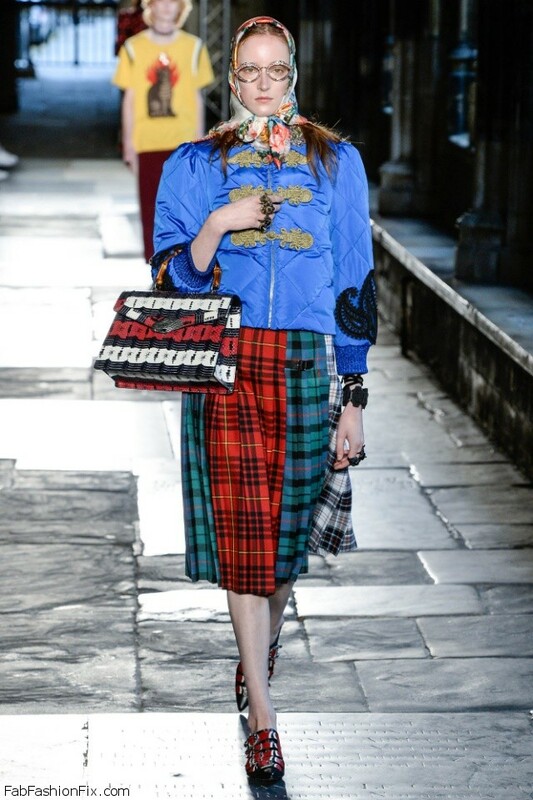 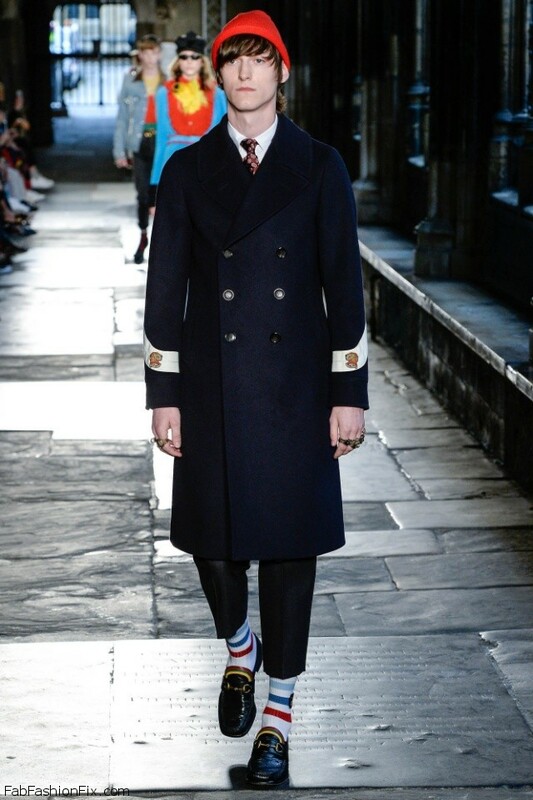 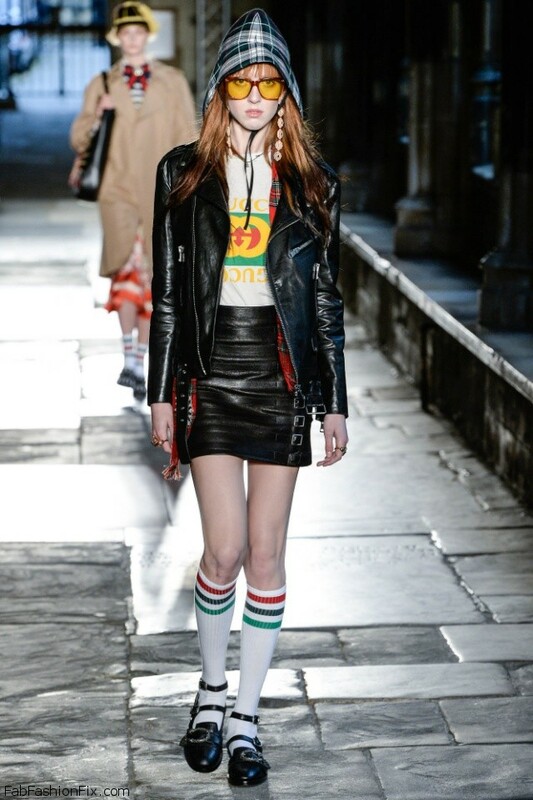 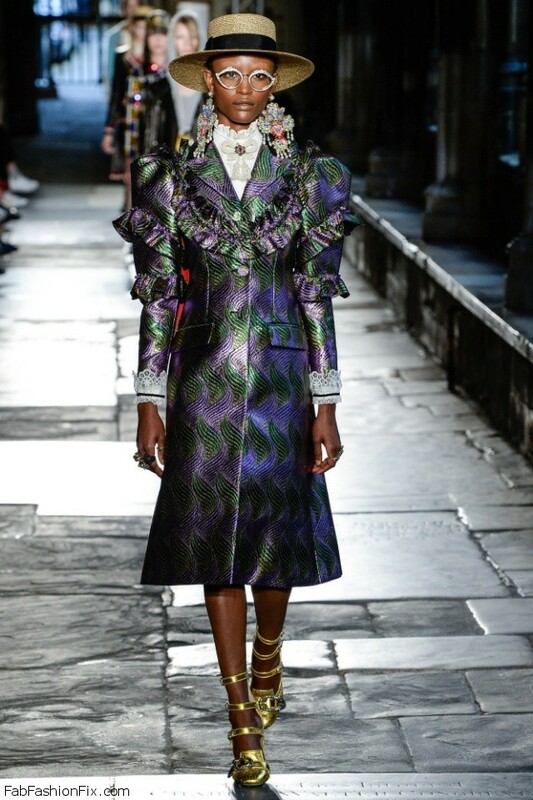 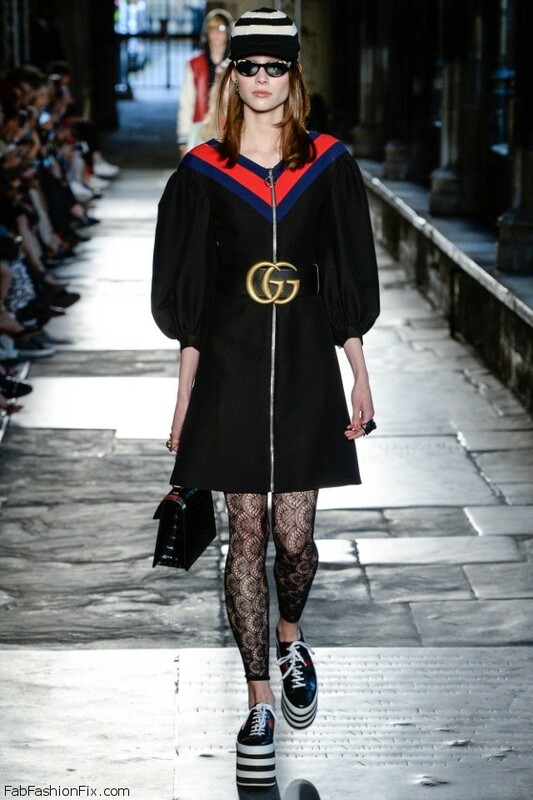 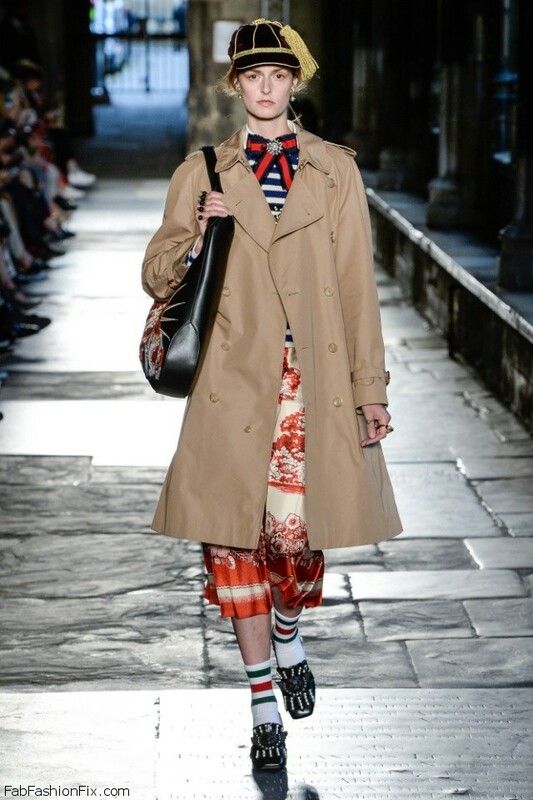 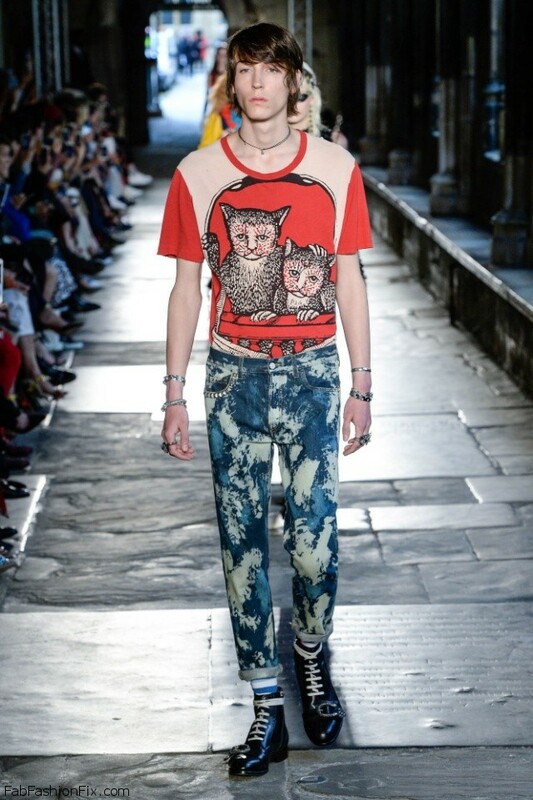 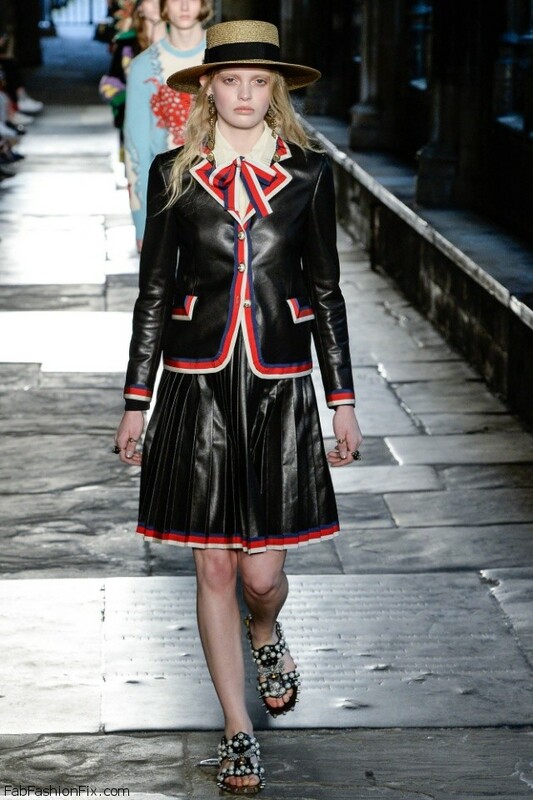 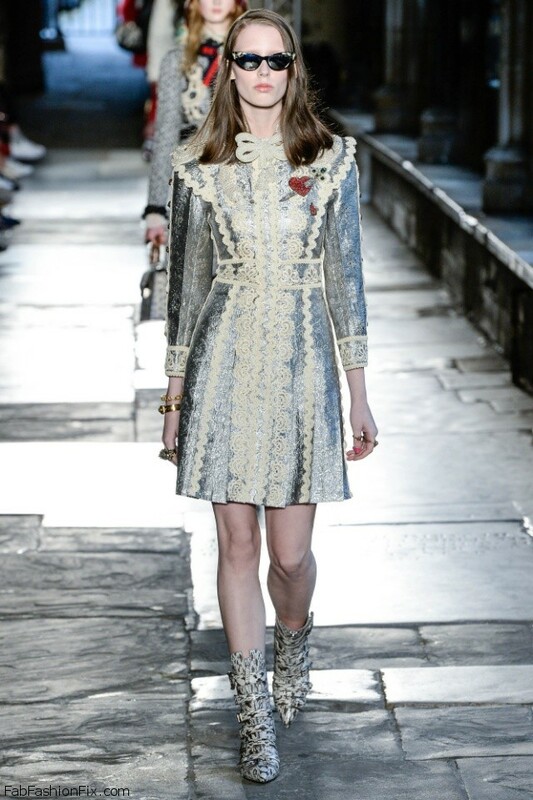 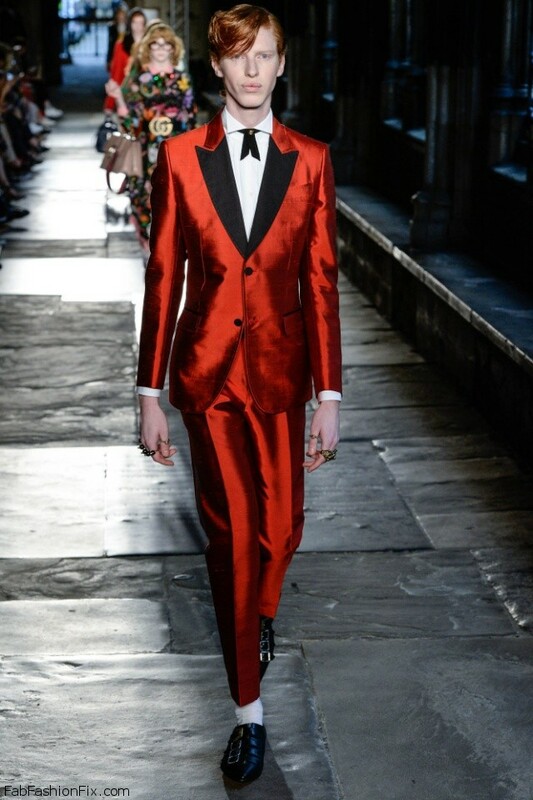 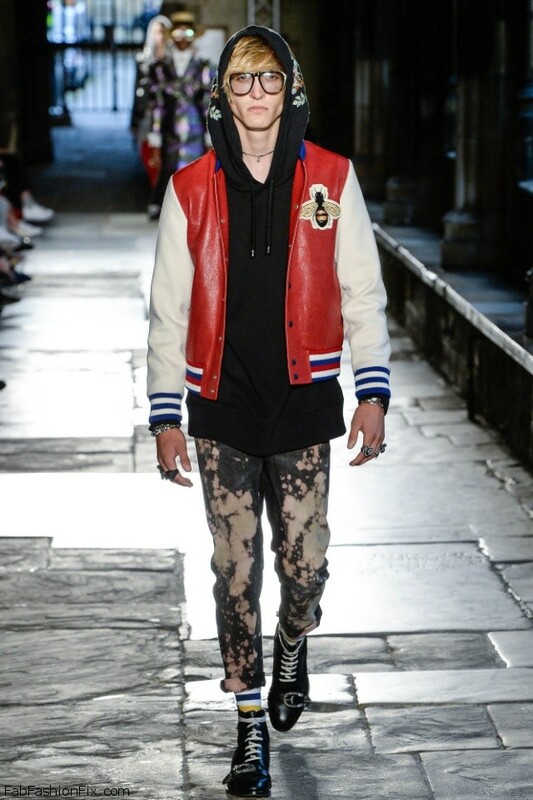 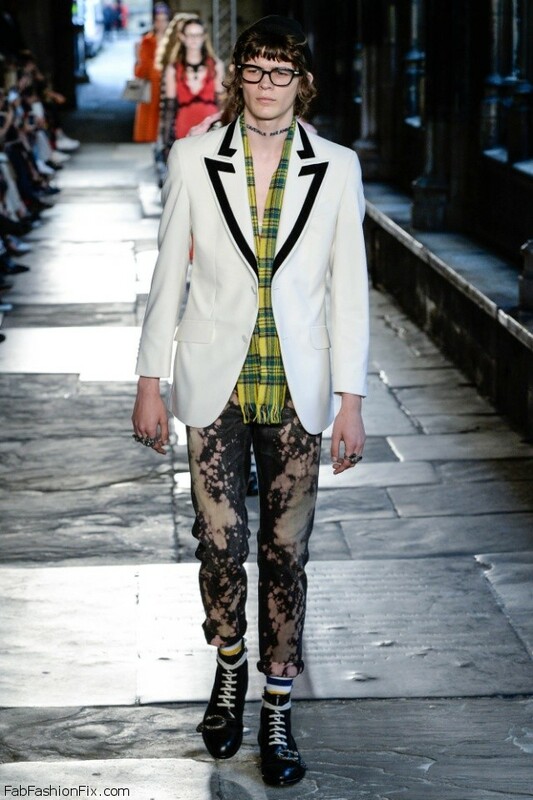 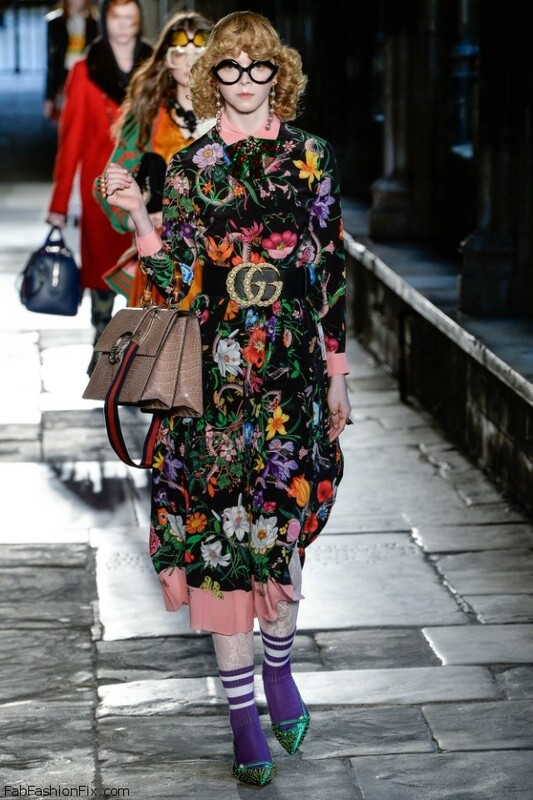 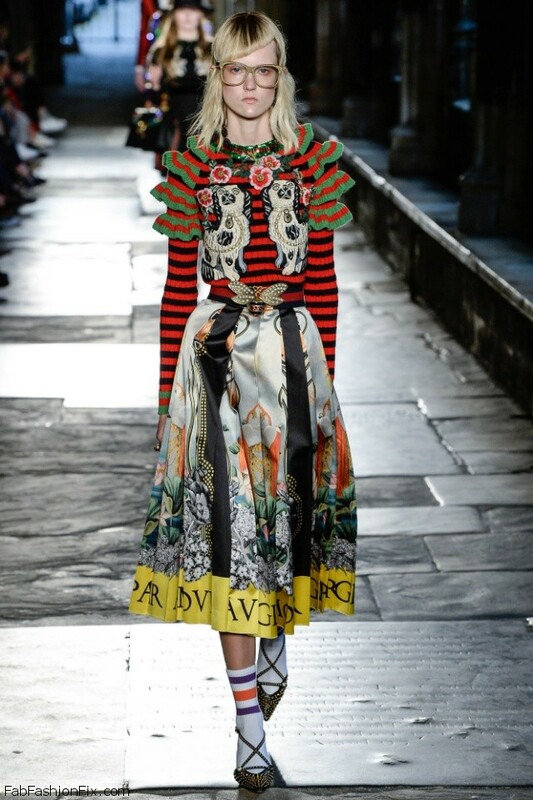 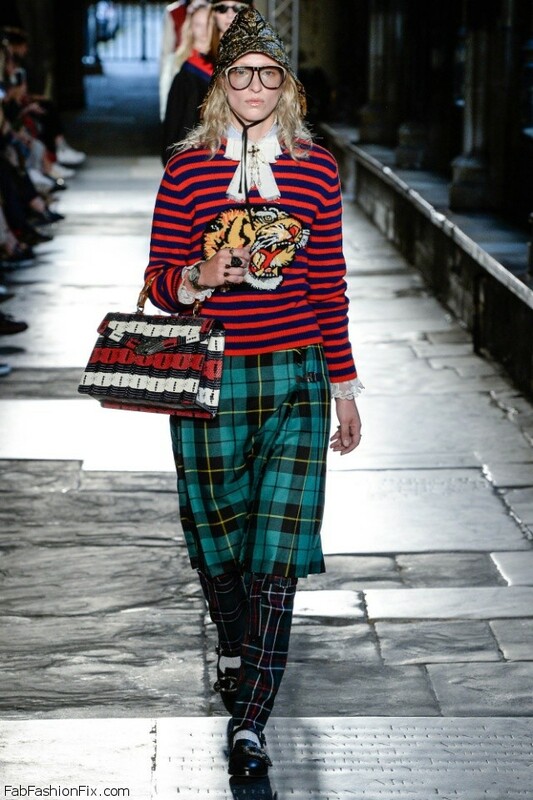 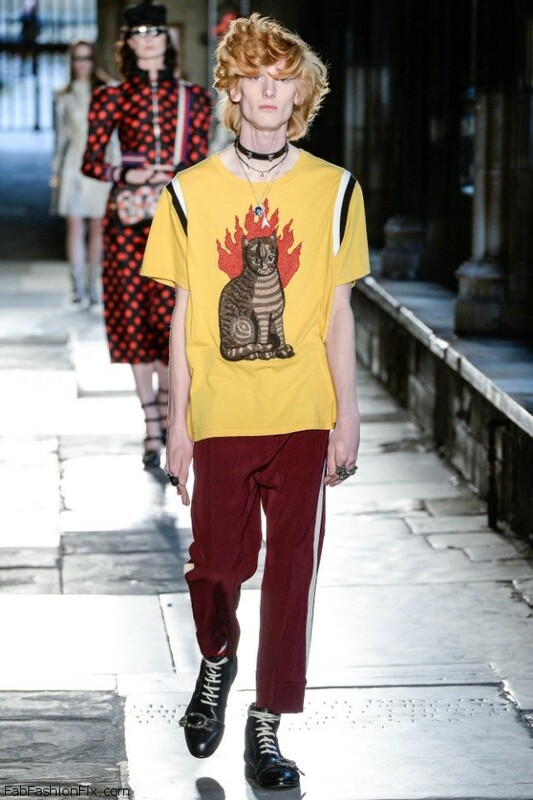 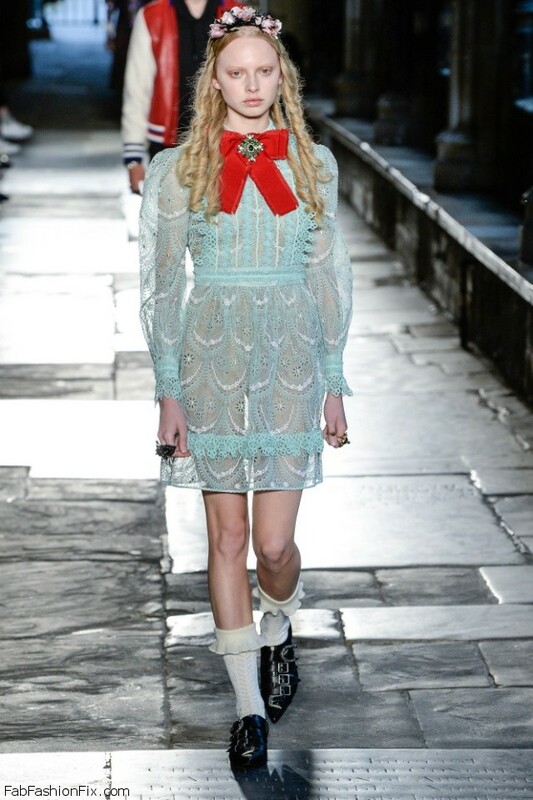 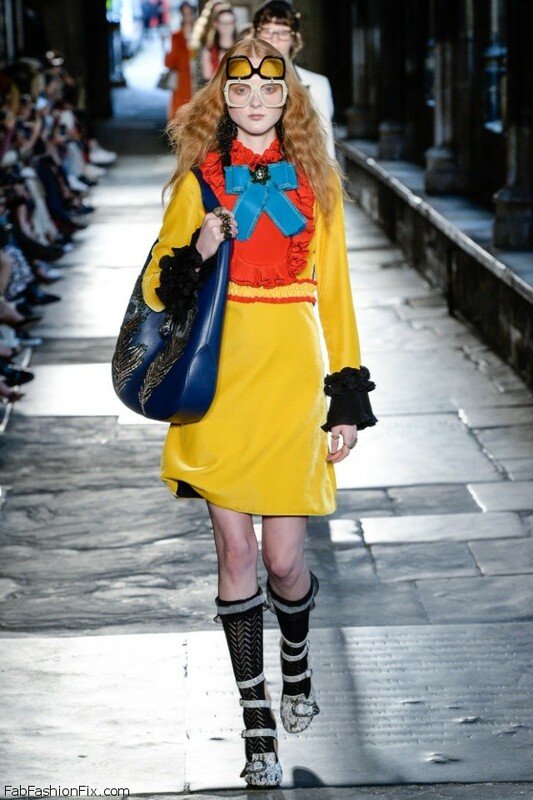 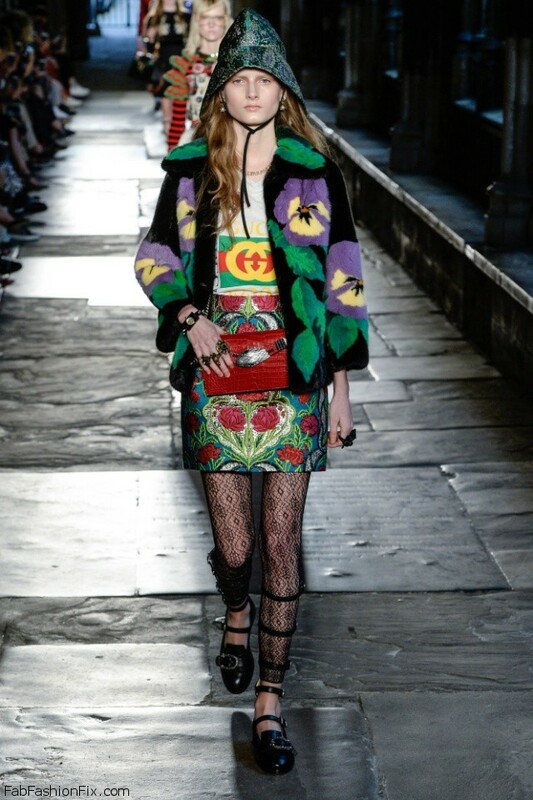 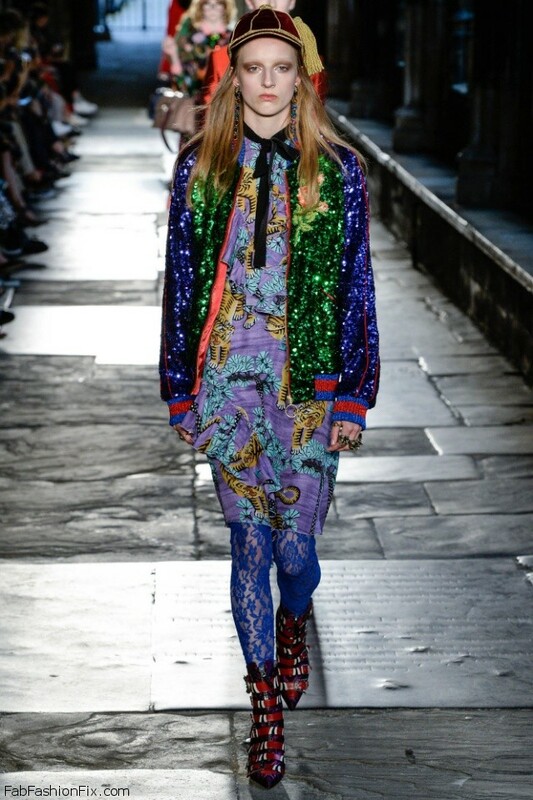 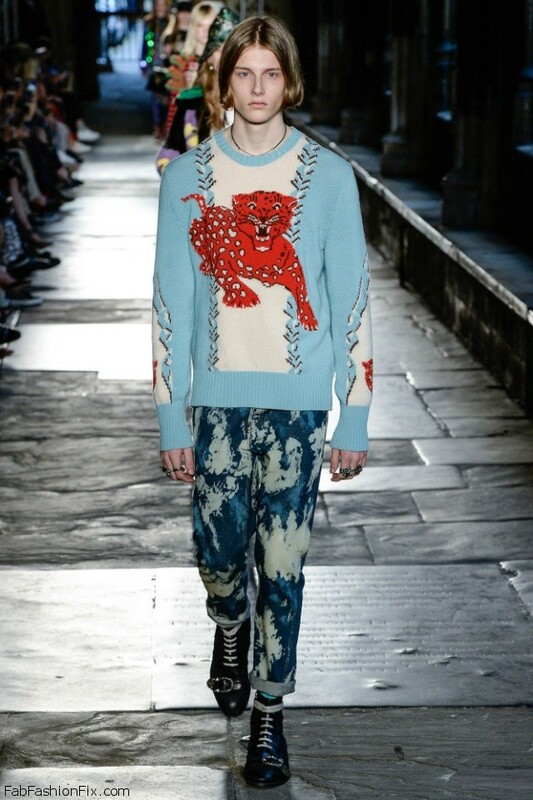 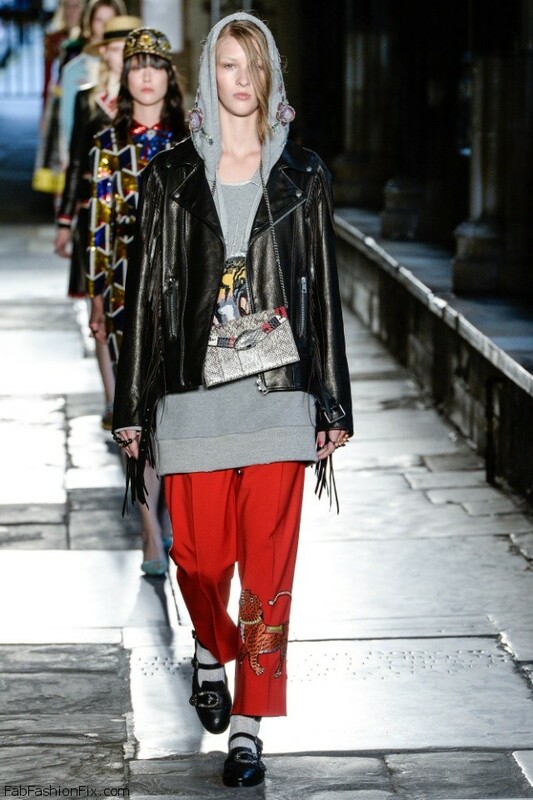 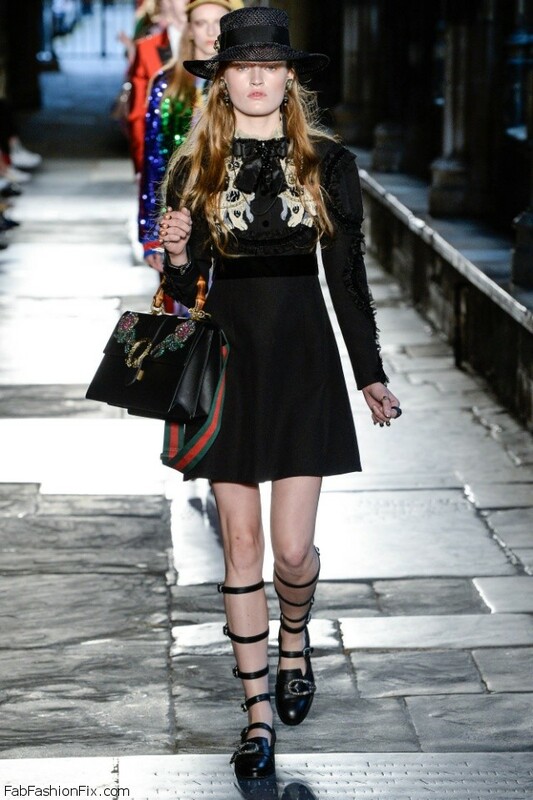 The iconic Italian fashion house Gucci presented their new Resort 2017 Collection at the Cloisters in Westminster Abbey in London. 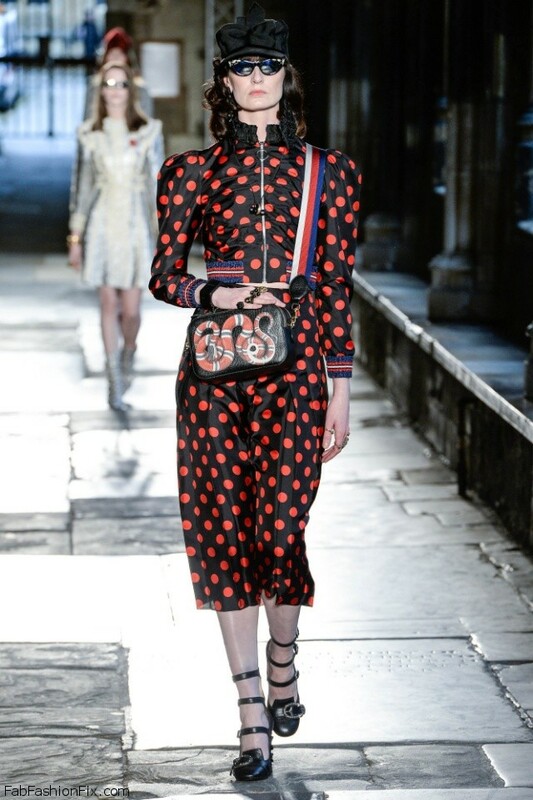 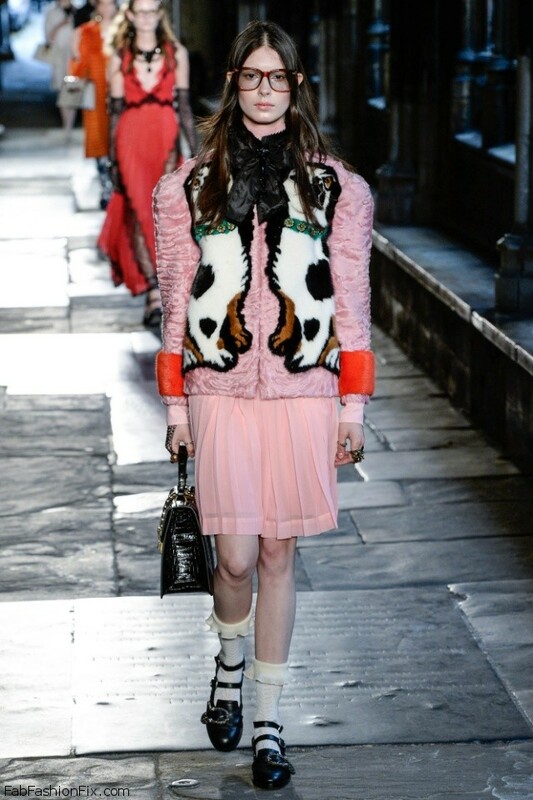 Creative director Alessandro Michele stated about the inspiration behind this collection: “The collection is like a little poem to London. 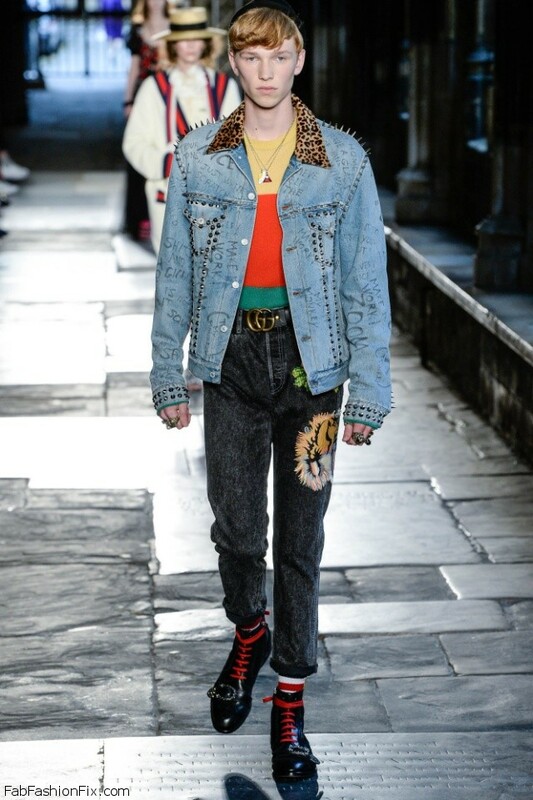 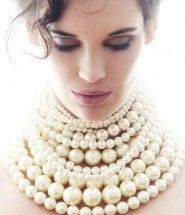 I have tried to put into it some of the pieces in my heart when I think about London: Victorian, schoolboy, crazy young noble guys and some romantic punk”. 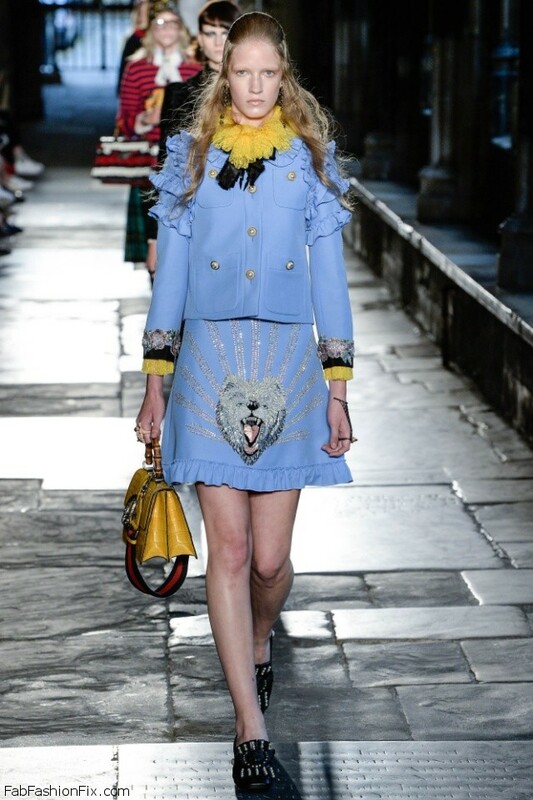 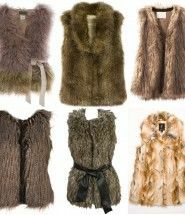 The focus was on details such as bears, tigers and panthers encrusted in beads and appliquéd onto jackets and dresses, accessories marked with stripes and snakes, and pearls set in the GG belt.